A: Collagen is the protein that holds everything in your body together. It makes up about 30% of all the protein in the human body, and is found in your bones, tendons, ligaments, connective tissues and skin, and plays various roles in your overall health. Collagen production naturally declines with age, reducing the structural integrity of the skin and instigating the weakening of cartilage in joints. You can help make up for decreased collagen production by eating collagen sourced from bovines pasture-raised. A: Most, if not all of us, would benefit from some supplementation just for the unmet maintenance needs of connective tissue as well as skin and hair. Add to this the additional recovery related to heavy exercise, and you can see how athletes may require additional supplement support. Collagen is essential for the day-to-day repair involved in exercise recovery, even for those of us who aren’t professional caliber or endurance athletes. Whether we’re runners or yoga practitioners, collagen helps keep joints, tendons, and ligaments healthy to maintain the flexibility and mobility we need. Finally, supplementary collagen is an essential tool for maintaining the vibrancy of our skin and the strength of both hair and nails. A: Hydrolyzed collagen is also called collagen peptides or collagen hydrolysate. 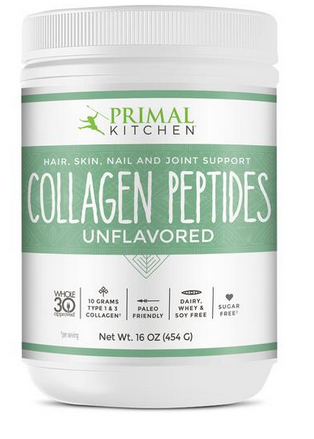 The collagen has undergone a process of hydrolysis (separating the molecular bonds between collagen strands with an acid, like lime or enzymes) to reduce the protein into smaller peptides, which renders it more readily bioavailable. The more bioavailable it is, the better the body is able to absorb it. The amino acid content of collagen is the same as that of hydrolyzed collagen. Most clinical studies on the benefits of collagen have been conducted using hydrolyzed collagen peptides. Collagen hydrolysate has the same amino acids (and health benefits) as gelatin but different chemical properties. Some people may find collagen hydrolysate easier to digest. Q: I have an allergy, are the bars manufactured in a facility that contains allergens?